"Sooo, kitchen staffing has been tough. Trying to pull things together but just not finding enough qualified applicants. Hence the delays. However, we *will* be opening up on the weekends. Starting with this Saturday night, the 22nd. Tapas, paella, sangria, Rioja, Sherry lemonade, etc. This Saturday, 7:00 and 7:30 seatings only-reservations required." KandN: So exciting to be invited to one of Andaluz's preview nights! Everything was wonderful; the food, the service, the sangria and the atmosphere. I can't wait for it to be open! One of my favorite parts of the evening was when Vegan's Nightmare plus Mrs. VN and the two of us, tried to decide which plate was our favorite. So glad we took photos! After multiple plates of great food, it was difficult to remember it all. But the experience? I can't wait to try and recreate that! salemrebekah: It has been a long time since I've had such a food lover's dream dinner. Andaluz is a tapas bar which supports two of my favorite pastimes: drinking sangria and tasting delicious morsels of food. Does it really get any better than sharing delicious plates of food and fruity glasses of sangria with good friends? 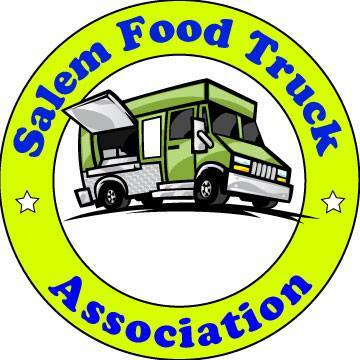 Salem has been in need of a tapas restaurant for quite some time, in my opinion. My favorite plates of the night were the manchego cheese with a tomato and olive oil topping, the patatas bravas with garlic aioli, and the dates with blue cheese and bacon. Oh my, my mouth is watering just writing this! There was a plate of bacon wrapped figs stuffed with blue cheese. You take something that I would otherwise spit out of my mouth, stuff it with blue cheese, and wrap it in bacon and it becomes a carnivore's delight. Faithful readers, please stay away from Andaluz so I don't have to wait in line. @MnLs : Andaluz...the suspense was killing me. Excited for this new, hip, alternative venue in Salem. Wondering what twist the chef would add to traditional tapas. And it was well worth the anticipation. Loved the full house, loved the parade of tasty treats, loved the flowing sangria - in red and white. I even loved the red neon sign above the door, and the bottle pyramid above that. Looking forward to the time when this shiny new spot becomes a well-worn, neighborhood gathering place, full of color, music, wine, and food. Thank you!! So I have a couple of photos for you. What's the best way to get them to ya? Do you know if minors will be allowed to dine there? Since there's no sign stating, "No Minors Allowed", I'm assuming minors are welcome, but to make sure I've messaged Chef Rosales. Chef Rosales just replied - "Minors are allowed at all times." I can't wait for this place to open! I've been craving tapas for freakin ever. Sangria AND paella?? Is there a website yet? Best meal I've had in a looong time Yummo!